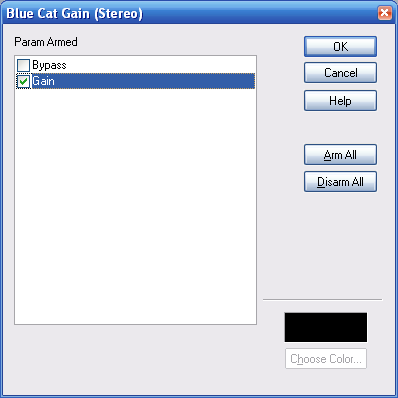 The Blue Cat's Gain Suite free volume control plugins offer the ability to link several instances of the same plugin to control them with a single slider. This tutorial shows how to use this capability to control the balance between two tracks (the drums and bass tracks in this example) with a single slider. This tutorial uses Cakewalk Sonar as a host, but you can use any other VST or DirectX compatible host application. 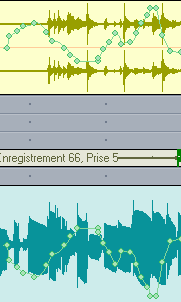 Note that moving one single slider lets you record the the gain parameter variations as automation curves for both plugins at the same time. Next steps show you how to do it. This tutorial has shown you a very simple way to control the balance between two tracks with a single slider. It is a simple example of the grouping capabilities of the Blue Cat's Gain Suite free plugins.